Curaçao is where Europe and the Caribbean come together. It is a tiny paradise that invites you to lose yourself in the tropical beats of tumba music and exotic citrus tang of Blue Curaçao. Curaçao is home to about 38 gorgeous beaches and over 160,000 people. Popular attractions include Handelskade, Christoffel National Park, and Cas Abao Beach. Get ready for a unique Dutch-Caribbean adventure with cheap flights to Curaçao. Curaçao is home to Curaçao International Airport (CUR), which is a 25-minute drive from downtown Willemstad. The sunny shores of Curaçao and the surrounding Caribbean Sea offer a playground for exciting activities such as paddleboarding, snorkelling, biking, sailing, golfing, and rejuvenating massages. Reaching out into the ocean and tucked into secret coves, the beaches of Curaçao beg to be explored. 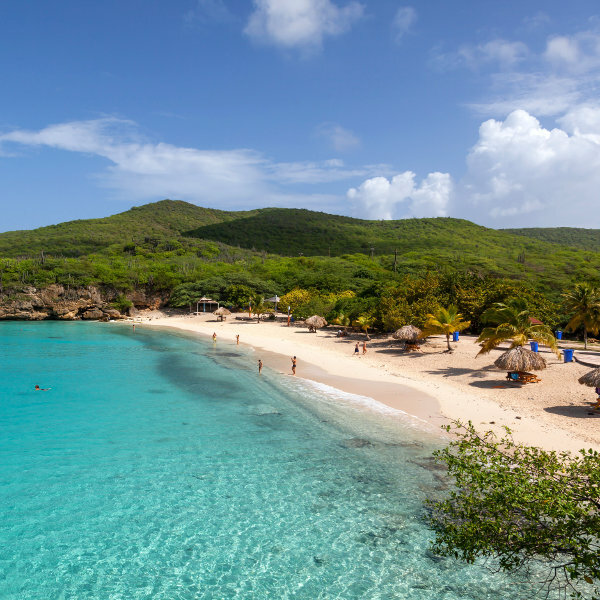 Popular beaches include Grote Knip, Playa Lagun, Playa Porto Mari, and Klein Curaçao. 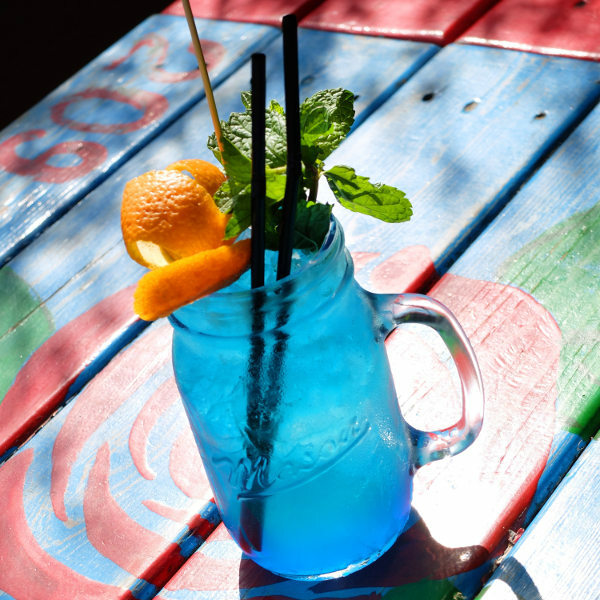 Blue Curaçao is a legendary liqueur that has given many cocktails their jazzy sapphire glow and it all began on Curaçao. Visit Landhuis Chobolobo for authentic tastings and signature cocktails. Curaçao experiences a tropical climate with warm temperatures throughout the year, even during the rainy season. The rainy months are from October to February and are marked by short bursts of rainfall that fall mostly at night. The island is unaffected by the hurricane season and sunshine kisses the island throughout the year, so any time is a good time to visit Curaçao. However, if you want to experience the wild celebrations of Carnival the best time to visit is from January to February. Diving is also great throughout the year but is particularly popular between September and December. For thinner crowds, lower hotel rates, and cheap flights to Curaçao, the best time to visit is between May and November. It may be small, but Curaçao is an island with a big personality. The enchanting beauty of its beaches and Christoffel National Park is undeniable, but the true charm lies in its people and neighborhoods. Punda is located in downtown Willemstad and is the most photographed districts on Curaçao thanks to its colourful 18th-century buildings. Explore the quaint alleys and shops for some of the best shopping on Curaçao or try some local fare at one of the restaurants for an authentic taste of Curaçao. Pietermaai Smal is situated just east of Punda and is home to some of the trendiest bars and restaurants on the island. It is known for its culinary scene and lively nightlife that seems to pervade the entire neighbourhood. Across the St. Anna Bay channel, to the west of Punda, is Otrobanda - the cultural heart of Curaçao. If you want to experience the raw energy of local life, this is where you want to be. Day and night, the streets bustle with activity and music rumbles through the streets. Curaçao is known for its vibrant nightlife, so be sure to venture out when the sun goes down. Whether you enjoy live music and cocktails or spending the night lost in a haze of salsa and disco, there is something for everyone on the island of Curaçao. Curaçao invites you to experience the unique rhythm of the Dutch Caribbean! Compare several airlines and book your cheap flights to Curaçao online at Travelstart! Curaçao is considered a relatively safe destination. Obtaining travel insurance to cover theft and medical expenses and familiarising yourself with the local laws is recommended. As with most countries around the world, you should take precautions such as keeping valuables in a safe place and avoid wandering into isolated areas alone at night. The only other concerns are poisonous fish and urchins. Watch your step when walking in the water to avoid stepping on one of these. A yellow fever certificate is required if you are travelling from an infected country. Mosquito-borne diseases such as Zika virus, dengue, and chikungunya are a risk, so precautions should be taken to avoid bites and infection. Vaccinations against hepatitis A & B and rabies are recommended. Routine vaccinations include tetanus, diphtheria, pertussis, MMR, and polio.